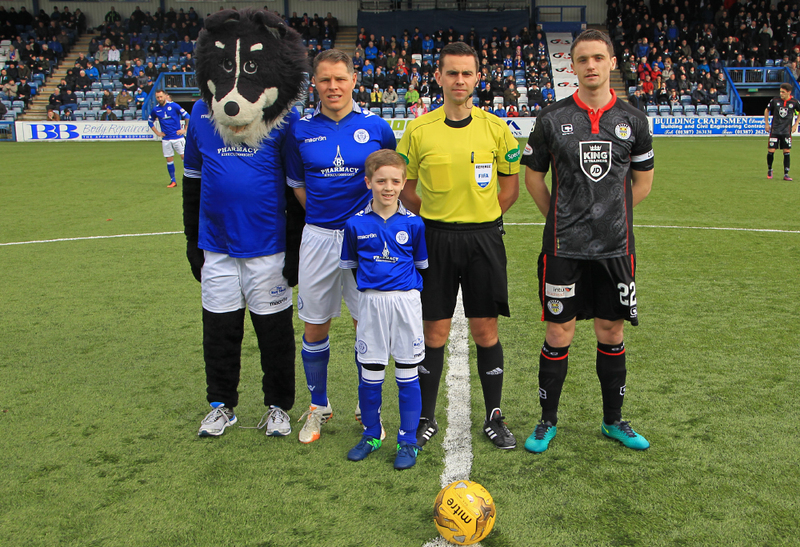 Queens slipped to a second consecutive home league defeat as bottom of the Championship side, Saint Mirren left Palmerston with all three points for the second time this season after they secured what was for them a fairly comfortable two- nil victory. After a pretty even first half - in which Queens had the better of the chances - the visitors took the lead right on half-time, and although Queens tried to find a way back into the game, they lacked conviction and never really tested the bottom sides defence who wrapped up the points when Dumfries born, Rory Loy netted from the penalty spot. 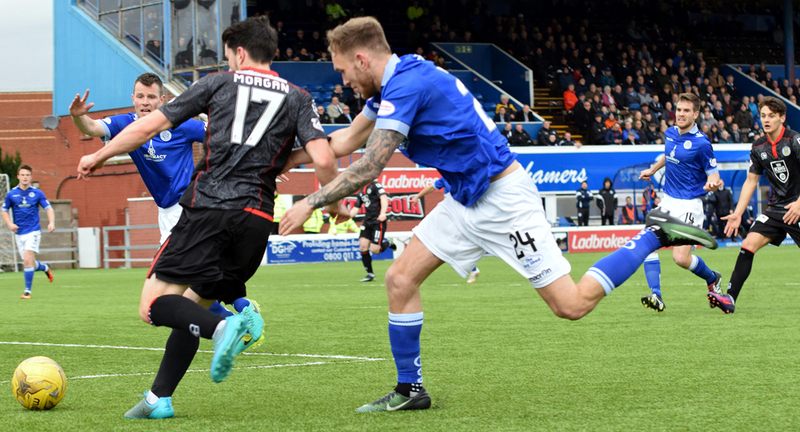 Following the draw at Dunfermline, Queens made three changes with Jordan Marshall, Andy Dowie and Jim Atkinson, replacing Jamie Hamill, Darren Brownlie, and Lee Robinson. 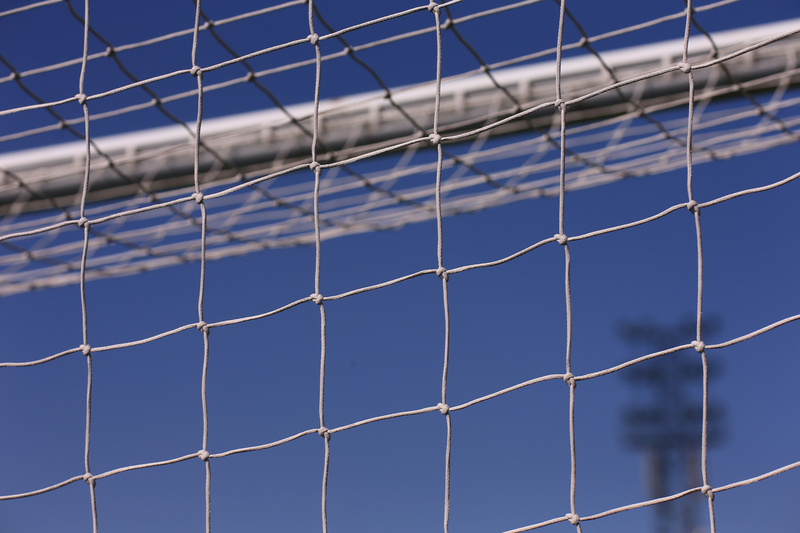 Goalkeeper Atkinson was making his first start of the campaign, and his inclusion brought to an end Lee Robinson`s 100% appearance record for the season.Queens lined up in a 4-2-3-1 formation with Lyndon Dykes operating as the lone striker.Young `keeper, Cameron Copland, was included in the matchday squad for the first time. 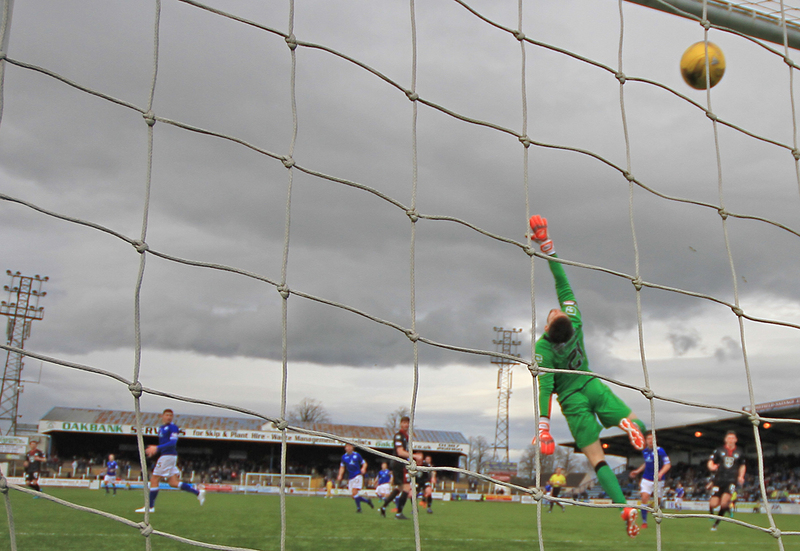 Backed by a very healthy travelling support, the visitors got the game underway, but it was Queens who had the first chance of the game when top scorer, Stephen Dobbie`s shot from just outside the box curled straight into the arms of `keeper O`Brien. The hosts kept up the pressure and a good flowing move very nearly produced the game`s opening goal. A neat pass from John Rankin found Dobbie who in turn found Lyndon Dykes, and the Australian`s lay off to Dom Thomas was perfectly weighted, but the move didn`t get the reward it merited as Thomas` thunderous drive beat O`Brien but crashed against the bar. As Queens continued to push forward they went close again when Dobbie`s strike from distance was only a couple of inches too high.The opening period had been good for the hosts, but slowly, St.Mirren began to work their way back into the game. 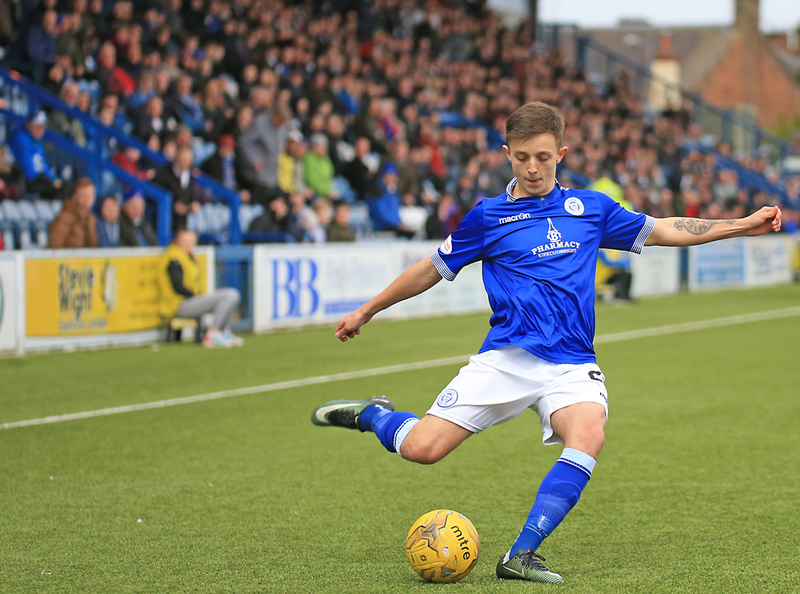 When the teams last met at Palmerston, youngster Lewis Morgan was a constant threat, and the impressive winger was at it again as time after time his pace and trickery caused Queens all kinds of problems, and with both Magennis, and McGinn starting to control the midfield, the visitors were starting to create some promising attacks. McGinn tested Atkinson, who saved comfortably, and Mallan saw his shot deflected for a corner as the Saints looked to find the breakthrough. On 26 minutes the visitors almost did make the breakthrough - for Queens. A cross from Thomas deflected off of Baird and was then headed against his own post by Eckersley who breathed a huge sigh of relief as the ball was cleared to safety. Minutes later Queens had what was clearly their best chance of the half. Dobbie and Dykes combined well and when Dykes` cross fell nicely for Thomas, the on loan Motherwell man was only denied his fourth Queens goal by a superb reaction save from O`Brien. Although the game was scoreless, it was very end to end and entertaining and the lively Lewis forced Atkinson into making a decent save as both teams searched for the opening goal. A free kick from Dobbie following a foul on Dykes saw Higgins direct a header wide of the target, and a teasing cross from Kyle Jacobs had no takers following a good move down the right. Queens next foray forward ended with a shot from Joe Thomson going wide, although to be fair from the angle he was at it would have taken something special to find the net from that position. With the half moving towards its conclusion there was to be a sting in it`s tail for the home side as the visitors made the breakthrough, and not surprisingly, Morgan was at the heart of the play. Having collected the ball on the left wing his pace took him in behind the Queens defence and to the bye-line, his cross into the area eventually found it`s way to Mallan who drove a low shot past the advancing Atkinson to give the bottom side a real boost with the interval just seconds away.There was a slight suspicion of handball during the build up to the goal, but there was nothing in the way of a strong appeal from the Queens players or staff and the break was reached with that single goal dividing the teams. The second period began with an early Queens chance as Dom Thomas sent a shot straight at the `keeper, but in reality, that early chance was just about all the home side offered in a half during which they`huffed and puffed` but never really seriously tested the visiting defence, and just 9 minutes into the half they fell further behind, and once again it was all down to the talented Morgan.His pace took him past Scott Mercer and into the penalty area and as Dowie and Mercer tried to block the wingers progress, he was clipped by Mercer which quite rightly resulted in a penalty kick. Dumfries born Rory Loy stepped up to convert the spot-kick, sending Atkinson one way and placing the ball in the opposite corner. For the next period of the game the visitors took control and headers from Smith, and then Mackenzie went close as the bottom side looked more likely to extend their advantage. Queens made their first change after 68 minutes when Derek Lyle replaced Dykes and the formation was switched to a 4-4-2 set up with Dobbie and Lyle leading the attack,but it was still the visitors who looked most likely to score again, and a decent run and shot from Magennis drew a smart save from Atkinson. John Rankin was replaced by Dale Hilson a few minutes after the introduction of Lyle, and one of the few positives that can be taken from today`s game is the continuing progress of Hilson as his ability to both hold, and run with the ball will be a big bonus for Queens as the season moves to it`s conclusion. 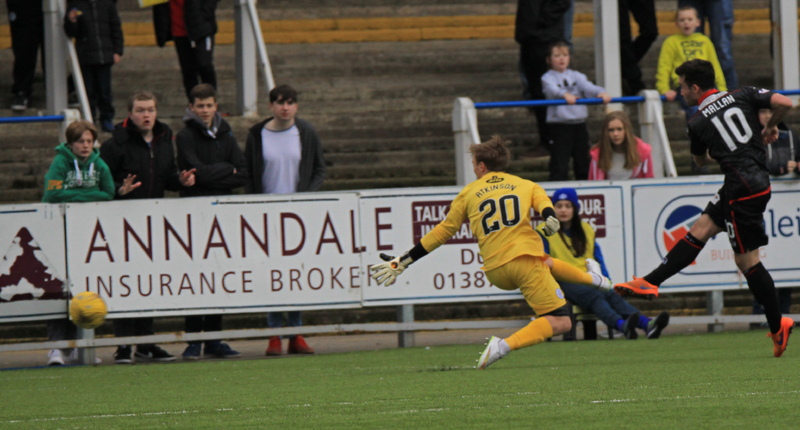 With 15 minutes to go, Queens had their best chance of the half after a defensive error let Dobbie in, but O`Brien reacted well to push the striker`s effort away to safety. Youngster Connor Murray was given the final 8 minutes in place of Thomas, and during those few minutes he produced a couple of inviting crosses from the right, one picked out Hilson whose header was straight at the `keeper, and another found Lyle who did actually put the ball in the net but he was well offside. So not much to cheer about for the home support in the crowd of 1728, and quite disappointingly another home league defeat which leaves Queens just 8 points from the bottom of the table. 14:24 Three changes for Queens this afternoon. Dowie, Marshall and Atkinson come into the starting xi. 14:37 St Mirren xi: O`Brien, Irvine, Mackenzie, Eckersley, Morgan, Baird, Mallan, Loy, Smith, McGinn. 15:01 The players are out and we`re only moments from kick-off. 1 min St Mirren gets us underway here at Palmerston. 1 min Dobbie receives the ball, turns and hits a shot from 20-yards but is straight at O`Brien. 9 min The visitors earn the first corner of the game. 10 min The set-piece comes to nothing as Queens clear their lines. 12 min Dykes laid the ball to Thomas on the edge of the box and smashed the bar. 12 min Dobbie comes close with another long range effort. 14 min McGinn`s tame effort is easily collected by Atkinson. 18 min Dobbie lobs the ball into the direction of Dykes before being knocked out for a corner. 22 min A Thomas cross is headed back by St Mirren`s Baird, and back to Eckersley who knocks it onto the post. Nearly a spectacular own-goal. 23 min After great play from the hosts the ball falls to Thomas and is denied by a superb O`Brien save. Corner to Queens. 24 min The set-piece is collected by O`Brien. 30 min McGinn fouls Dykes on the half-way line. 32 min Dobbie whips in a free-kick from the left, Higgins leaps the highest but his header drifts wide. 38 min Again good build-up play from Queens but Thomson blasts his strike over the bar. 45 min Mallan`s low strike gives the visitors the lead. 53 min Mallan`s shot is saved by Atkinson. 53 min Penalty to St Mirren. 54 min Morgan is brought down by Mercer for the penalty. 55 min Loy makes no mistake and slots home the penalty. 2-0 to the visitors. 56 min Smith`s header is saved by Atkinson. 60 min Corner is whipped in by the visitors, Mackenzie heads over the bar. Still 0-2. 69 min Atkinson gets down to make another save, this time from Magennis. 85 min Lyle has the ball in the net but the assistant has his flag up. 89 min Hilson`s header is saved by O`Brien. 90+1 min Lyle gets on the end of a Murray cross but the keeper saves again.